DESTINES are a special selected type of supernatural. being only girls who look alike to each other, they have a destiny, a mission that shall be known later on (only when you read the book). the first destined was a werewolf, and the second was a vampire. once the previous destined dies, the next is immediately born. with the first two destines being buried in earth and burnt in the fires respectively, the third destined is born. the third destined stands out from the other two. being a famous hunter, 'masked assassin', part werewolf and the third destined, she is said to be the strongest of them all. the one to complete the mission. the last destined. this is the story of the third destined. her story, her legend, her life. 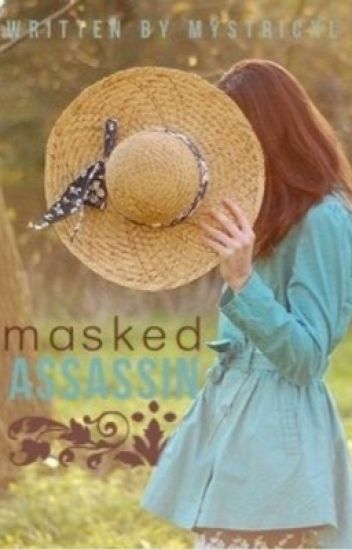 this is the story of Alaysieh, the masked assassin. so just to inform you that this is written when i was 12-13, everything written in here, from ages to storyline, is a little too off to be true. i'm writing another version of this when my writing gets better, so please don't criticize or say anything about the storyline and etcetera, because i know that there are mistakes. so read it at your own risk!! Chayla's life wasn't normal to begin with. She was a highly trained, highly paid assassin at a very young age. But her life takes a drastic turn when she gets kidnapped by Vampires, not only that but she finds out that not only is she not human but she has just been thrown into the middle of a war that has been going on for Centuries. Not knowing what to do she falls back on her training and hopes that that will help get through whatever is thrown her way. My past is forgotten and I thought that I'll never retrieve it back. After that I became most dangerous assassin 'Black Ridding Hood'. Who knew that I Katrina Castillo would be mated to Alpha twins and regain my memory. I was never a normal girl and just add these things together to know how I was never normal from the being to the end. Assassin + Killer + Agent + Werewolf = Ordinary girl. Don’t yeah think but the given equation above gives my life a spice that no one has. But some time to much spices is not too good for you either and I learned this the hard way. Serilda learns her father used to be an assassin and wishes to continue that legacy. Her father refuses to train her so she runs away to learn from another. She returns after her training and is accepted by her family and learns of her father's treachery that leads her to leave before she has to destroy them. She returns to her trainer and meets Tai, who is intrigued by her but she pushes him away until he finally leaves. However, when she pushes him away she realizes that it was fear that was making her fight her feelings for him. She is given a mission to hunt a traitor that may be following a witch that is endangering all of mankind. With Tai as her partner they treck to find the traitor but what they meet is not what they were prepared for. What they lose is worse than death. Serilda wanted this life but she had no idea how much it would truly cost her. The life of an assassin is hard but she never knew it would be so lonely. With so much to lose how long will she put it all on the line? How much is too much? Can she protect those she loves before she loses it all? Alexandra Williams doesn't like the idea of staying in a house cooking, cleaning, and sewing all day; so she leaves her home and runs into two men dressed in black. They take her, thinking she's a guy going by the name Alexander, to a tryout to become one of the king's assassins. She makes it, but ends up being paired with a man named Aaron Smith. Aaron runs the tryouts for the archers like he always does, but this time a boy named Alexander stands out amongst the rest. He is absolutely amazing, but something is off, but Aaron doesn't pay attention to it. But at the end of the day his superior pairs him up with the mysterious Alexander, much to Aaron's dismay. Alexandra has to keep her gender a secret or she could be killed, but with her job as dangerous as it is she could be killed anyway. Aaron gets more and more suspicious of his silent partner and tries to do everything he can to try to make him reveal his secret, but 'Alexander' thwarts him every single time. Will the two be able to trust each other even with their secrets getting in the way? A young woman's escape from abuse and torture and her journey back home, to healing and finding herself. Zuluna Heatherstone and her little brother Richie were exiled from their pack. Years later Zuluna becomes the leading huntress of a new pack and her brother the packs best tracker. Richie finds his mate and settles down. Her alpha calls her in with a new assignment that sends Zuluna back to her old pack to execute the former alpha. With in the walls of her old pack house is Payne Franco a wolf that has been chained up, beaten, and kept in the dark since he was a pup. Zuluna finds what she has always wanted but not in the condition she got him and is out to have the blood of all of those who have damaged her mate. THIS WAS WRITTEN A LONG TIME AGO SO BEWARE!! I climbed up the tree with inhuman strength. I looked over at my brother and we both readied our weapons. Five more seconds until they get here, knowing those filthy dogs would bring there alpha. I could here the thud of their paws as they neared our hiding spot My brother counted us down before we jumped from the trees, our weapons stood out among the filthy wolves. The alpha I'm guessing stood in front. "I'm alpha Nathan of the starlight pack, if it isn't the winged Assassins." I smirked at my brother. "Oh we know who you are, we are here to kill you." At my voice he looked up and growled. "Mine!" He growled possessively, pushing me to a tree. When the winged Assassins are asked my the moon goddess herself to kill double agents in the starlight pack, they find more than what they bargained for. Theron is 18 and had been stripped away from her family when she was a toddler. She cannot remember a lot of her family. Than, an organization of Assassins, had taken her and trained her to be one of them, an assassin, and at such a young age. She probably can even beat up a man ten times her size...or just kill him. She is assigned on another mission from Than, the group that brought her in. On the mission, someone interrupts and she keeps stumbling into the person on her missions. This leads her to find so many things she did not know about. Theron finds out she is not the only supernatural being of her kind. Even her dead father? Can she escape the organization that says they had "saved her"? Follow Theron while she finds love and family. I designed the cover but I did not take the pictures.